Well, probably not much, really, not inventing a new wheel or anything…big deal…wannafightaboudit? In all reality, this is another blog more or less for my reference later when I actually get to start working on building out Server 2012 templates where I am employed. I have read multiple articles on building a “Golden Image” or “Golden Copy” of a VMWare guest VM, and will try to cite them wherever and often. This article is more or less the compilation of ALL those sources, giving me one place to find the info vs. spending another 10+ hours of reading and researching and testing (need we even mention documenting?). Getting Started – OS Installed! Now What? I’m not going to tell you how to get Server 2012 onto a VM in VMWare Workstation, but I can tell you I had problems with version 8, which I later found out were probably attributed to the floppy .img issue described here, rather than it being that particular version of VMWare Workstation. I ended up using 9 without any issues (it adds support for 2012 so you don’t have to use the Windows 7 type in Workstation 8. Once you’re logged in you’re going to see the tile setup that you do in Windows 8. We’ll come back to this. For now just click the Desktop tile. Click the Local Server(1) menu item on the left panel, and under the main Properties Info Box, use the scrollbar to slide all the way to the right(2), so you can see your Windows Update settings. 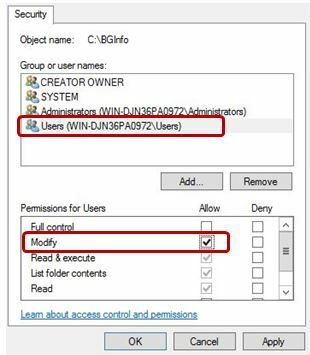 Click the link for Windows Update Not Configured(3) to open the Windows Update settings. Some may think the patch process I describe below is slower (or pointless). But for myself at least, I have found this prevents me from wasting time on troubleshooting why updates ‘y’ or ‘z’ didn’t install correctly during a “multi batch patch session” with a new image. Usually the culprit turned out to be something along the lines of “update ‘x’ was a dependancy but hadn’t fully completed IT’S OWN install operation on the prior reboot”. Therefore, the “broken” updates actually were working just as intended, and were simply waiting for the dependency to get completely installed! I found through trial and error that if I simply shut down the machine and then powered it backup during these “batch update installs”, it sort of kicked it into forcing the completion of the updates upon the following boot up. Just follow the matrix down the list. After step 2, it’s time to install your Roles/Features as per your requirements. Keep repeating the cycle after installing the roles until you do a scan and come back with no updates. This seems to have allowed me the best success rate with no troubleshooting necessary. 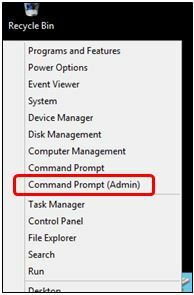 Later on, I am going to provide a link to a page that talks about nice customizations for the “new to you” Server 2012 admin, as a way to keep around some of the more familiar icons and shortcuts. For some of the items discussed in that article to be enabled, you’ll need to at this time add the “Desktop Experience” feature (shown below). Oh, and this is for people who aren’t tied to WSUS or whatever and are just pulling updates down from the Internet. I still use the methods at work similar to this, but the number of updates and patches will be different most likely as it would be driven by your patching compliance SLA and other such policy documents. I could go into great detail about hundreds of different ways to tweak your UI, but I would then be re-inventing the wheel. 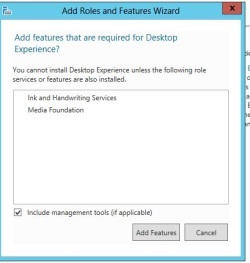 With that said, I HIGHLY suggest that even if you don’t want to go overboard with customizations, that you still take a few minutes to review the excellent article on Windows Server 2012 Customizations by Jason Boche. Go through and cherry pick your favs. 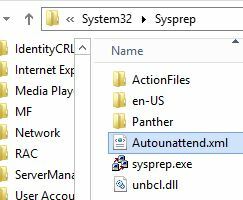 So according to TechNet, there is a setting called CopyProfile that can be overridden from it’s default (false) by using a special XML tag in the unattend file. 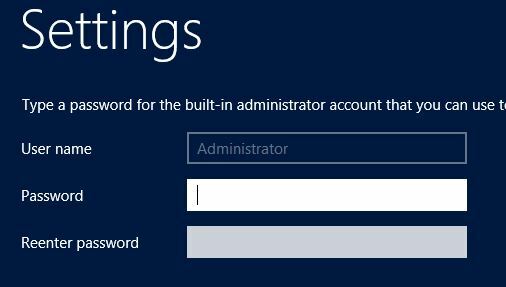 If you want these settings to be copied to default the easiest way is to be logged on as THE “Administrator” account. Once logged in, make your customizations, then proceed. So now the test. I just flat straight up copied that sumbitch to another location on a different drive. VOILA! 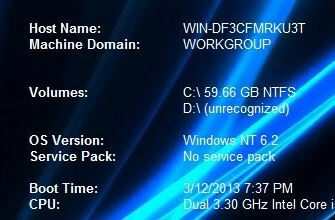 My new server ready to roll and freshly updated and customized!!! Now you can copy this Golden Template off into new folders, fire it up, and you have a new, updated server ready for config!!! That’s it! This was just a quick tutorial. Hopefully it helps set the stage for you to get familiar with Windows Server 2012, while at the same time guides you in finding your way around quickly to set up some of the features and custom settings you want with minimal headache.